The Noel Boyd Blog: Ready for the HAZE! 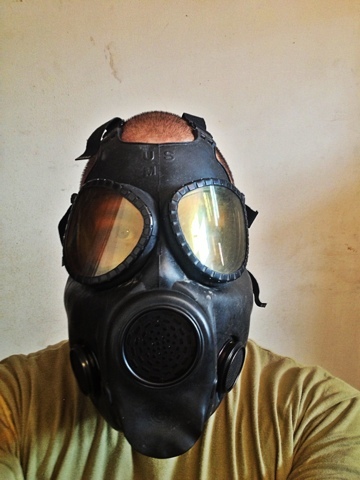 I bought this gas mask years ago. With the haze getting worse, this might come in handy. All I need to do is fix on the oxygen canister and I'm all set to walk around like a douchebag.